Home » free-software » Java-Jar-Jad Apps » Download-WE-CHAT.jar version !! 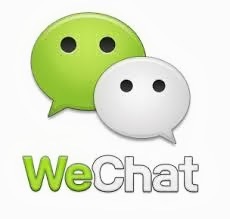 Finally I found WE-CHAT for .jar version.It will Runs over java Enable devices Like Sony Ericsson,Nokia ,Samsung etc..
After Long Time wechat java(.jad) version is available for download.You can download this .jar wechat for just clicking Proving Link Below.some devices does not able to download offline installer in specific mobile formats like .jar or .jad. Just like Mobile Operamini Browser So that i Uploaded File In .7Z format so you need to first Extract This we-chat.jar.zip file anywhere and install it manually.